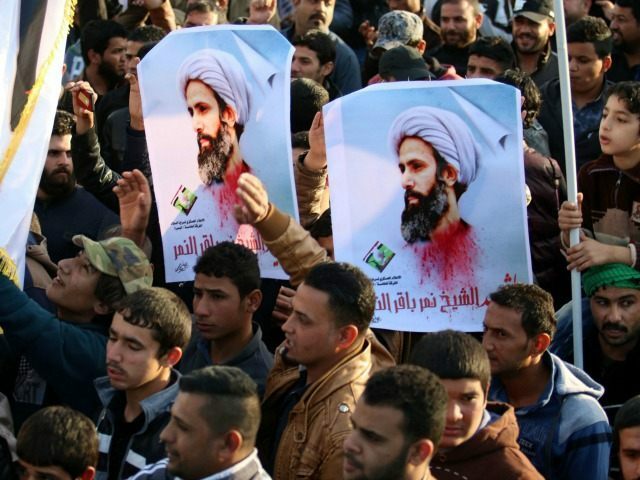 The most prominent leaders in the Shiite world have issued threatening statements against the Saudi monarchy, pledging that the House of Saud will pay a price for executing Sheikh Nimr al-Nimr, who was an influential cleric among the Saudi Shiite minority. Nimr’s death sentence was confirmed in October 2014, after being charged with “foreign meddling,” among other charges. Al-Nimr and 46 others were put to death this weekend. Some were beheaded, while others were killed by a firing squad. The individuals put to death were charged with a variety of crimes. Some were said to be members of radical jihadi groups such as Al Qaeda, while others, like Al-Nimr, were charged with fomenting a revolution. Iran’s Ayatollah Khamenei threatened “divine revenge” in retaliation for the Saudis’ decision to execute al-Nimr, who had been a vocal advocate against the ruling dynasty. “The unjustly spilt blood of this martyr will have quick consequences,” he predicted, according to the state-run Kayhan news site. “Allah will not forgive. This scholar neither encouraged people into armed action nor secretly conspired for plots but the only thing he did was utter public criticism rising from his religious zeal,” Khamenei added. Ayatollah Sistani, an influential Iranian-born Iraqi cleric, also harshly condemned the killing of Al-Nimr. “The spilling of their pure blood — including of the late cleric Sheikh Nimr al-Nimr, may his soul rest in peace — is an injustice and an aggression,” he said, according to Iran’s state-media. Sistani is closely connected to the regime in Tehran, and has been called the “most influential” person in Iraq. Earlier on Sunday, Saudi Arabia announced that it had completely severed diplomatic ties with the Islamic Republic of Iran, citing the regime allowing the targeting of its embassy in Tehran. On Saturday, Iranian rioters firebombed and ransacked the Saudi embassy in reaction to the killing of al-Nimr, taking down its flag. Citing this development, Saudi Foreign Minister Adel al-Jubeir announced Sunday that all Iranian diplomats have 48 hours to leave the country. The U.S. State Department has called for “diplomatic engagement” in the midst of the Sunni-Shiite spat. “We believe that diplomatic engagement and direct conversations remain essential in working through differences and we will continue to urge leaders across the region to take affirmative steps to calm tensions,” said State Department spokesman John Kirby.